I haven’t had pancakes for quite a while now. 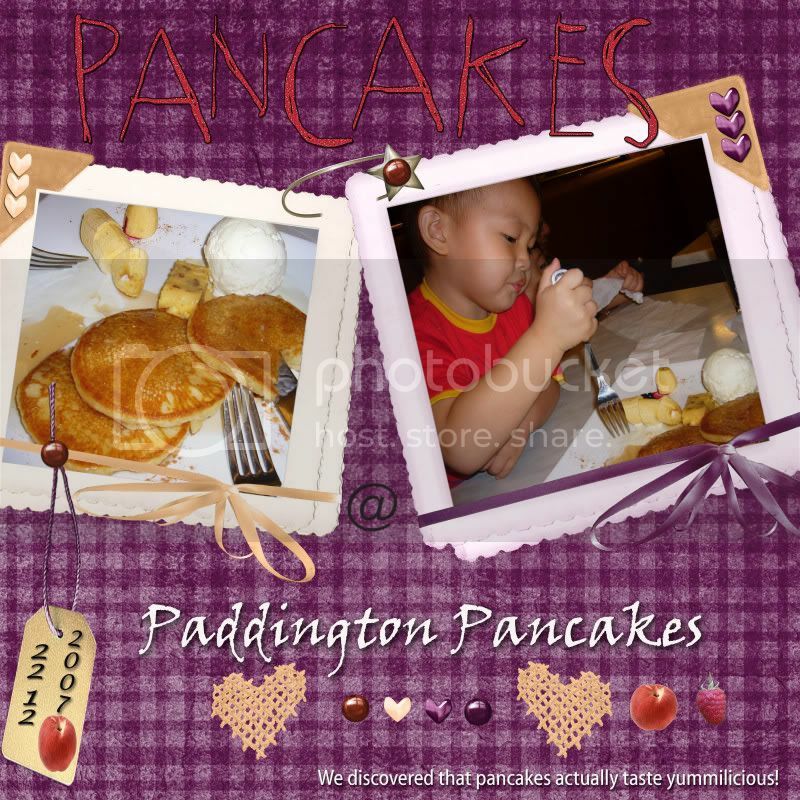 We had some at Paddington Pancakes. I simply love their pancakes .. really good. You can choose the flavour of the pancakes to be savoury or sweet. I’ve never fancy savoury pancakes .. just couldn’t get myself to take the savoury one. To me, pancakes are to be eaten sweet not savoury. This is the 1st time the kids tried pancakes and they absolutely loved it. I ate a few mouthful and the rests was gobbled up by the kids. The maple syrup was something else. Couldn’t find it in the supermarkets. Honey and pancakes just doesn’t jive! After finishing the plate, they wanted more but I said no because they just had dinner. I didn’t want them to throw up. Pancakes have been added to their list of “nice desserts”. This entry was posted on Monday, January 7th, 2008 at 3:57 pm	and is filed under Darien, Denisha, Food for Thought. You can follow any responses to this entry through the RSS 2.0 feed. You can leave a response, or trackback from your own site. i havent try before! I wanna eat! Nice pancakes. My kids ate pancakes in school and keep bugging me to make some for them but I have no idea how to. erm..looks delicious. can try it someday. Twin, at first i tot u make one…hehe…. they can have it for breakfast next time… then can eat more lor. yeah their pancakes ae delicious!